RECONCILIATION – a great plan or a dirty word? So many are confused, so many are offended. What IS reconciliation anyways? Is it even possible? Sandi Boucher uses her personal, conversational, and comforting style to discuss this very hard subject. 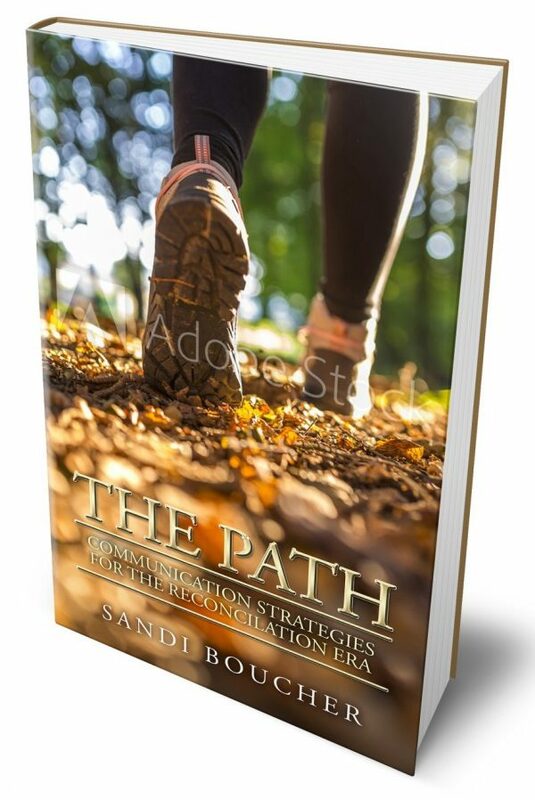 Known for speaking “to hearts and not minds” Sandi walks us down The PATH to reconciliation or rather the TWO paths – one for non-Indigenous Canadians and one for the Indigenous themselves. Humorous at times, informative always, this book is meant to spark a conversation – first in your own mind, as you unpack what you were unwittingly handed and then, with that person you have wanted to build a bridge with. Is it time for reconciliation? Only you can answer that question, after you complete … The PATH!